We may have seen a rise in 10 and 15 second ads on Youtube over the past five years, but Dunkin' Donuts actually used a 6 second ad in 2013 during a televised Monday Night Football event. Even though this was in conjunction with the video app Vine( which has since been put to bed), the decision was for the most part labeled as an interesting experiment and a one time effort that was deemed forgettable. Were the critics wrong? Maybe. Was it not effective because it was a televised commercial and not an online ad? Possibly. What we do know is that today, the 6 second video advertisement is quickly becoming the best thing you can create this year... if you do it correctly. 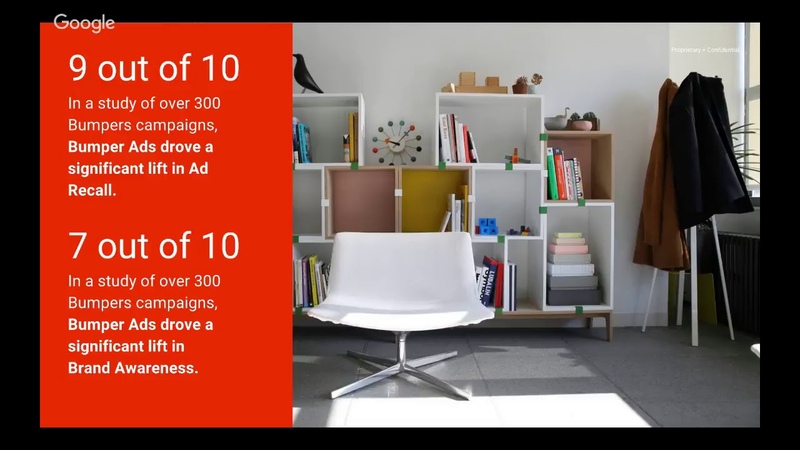 We looked at some of the more effective 6-second ads on Youtube and dug into the reasons why agencies, marketers, and Youtube are doubling down on them this year. When done right, you don't need much. This smaller canvas has pushed creative teams to think outside the box. At first glance, 6 seconds of ad time may sound like an impossible restraint to work with until you realize that you were able to make this transition before. Banner Ads. Twenty five years ago it would have been hard to find an advertiser that would have told you that you could successfully reach your target customer with a few inches of space. That sure was wrong. As people moved from reading magazines to reading their computer screens and eventually their cell phones, we adapted. More targeted messaging, well crafted imagery, and an incentivizing call to action eventually became the new formula for success. This same transition is occurring in the video space as advertisers are creating higher quality video and more effective messaging in 6 seconds than they were doing with 30. 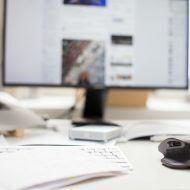 FreeWheel Council for Premium Video recently conducted research with UX measurement service Realeyes that focused on understanding the impact of ad length on the ad experience and business outcomes. Basically they did a deep dive into short ads to see the level of impact they have on the experience for the viewer and the advertiser business. Thirty-second ads are not enjoyable for the viewer. 15 second ads can be the most effective ad you run, but required near perfect execution. 6 second ads, also known as 'bumper ads', are favored by the younger and older audiences, and have the largest opportunity for business impact in 2018. The key word is opportunity and the 6 second ad has the best opportunity to create both a non intrusive experience for the viewer and deliver a positive ROI for the brand. With brands seeing less and less financial returns on longer ads, creatives agencies are shifting their focus to developing shorter ads with more straight forward, thought provoking messaging. You Need To Ditch Your 30 second Ad...Right Now. It is doing nothing for you. I have had a disdain toward any pre-roll ad over 30 seconds for years now and the fact is I'm not alone. With an average of 300 hours of video being uploaded to Youtube each minute, the pre-roll ad is no longer the gatekeeper for content. One of the worst things you can do to a customer and to your brand is create a 30 second roadblock that you have to dig your way out of. Video ads are a disruptive experience whether we want to admit it or not. Its ironic that companies bend over backwards to control the way they are perceived, yet many continue to invest in 30 seconds of branded suicide. Considering the fact that ads interrupt the consumer’s goal , this investment almost 100% leads to undesirable outcomes like frustration and negative attitudes towards the brands, and eventually a wish for avoidance by the viewer. Don't forget that the amount of time it takes to abandon an ad and click on another source of the content is now mere second away. Wistia reported that for a video of 4-5 minutes, fewer than 60% of your viewers will still be with you–against 75% for a 1-2 minute video. If your ad ends up making up over 30% of the total viewing time, you will have a hard time justifying the ROI to the viewer, not to mention your boss. We know you are proud of that 30 seconds but its time to take it out of rotation today. Give it a good home on your Youtube page or website, so it can respectively be laid to rest. It's time to reinvest in Smart Storytelling. Whether you like it or hate it, short is better in 2018. From memes to clickbait headlines, this short form media is flooding every channel, making it a much more challenging landscape to penetrate. With the rising demand for snack-able content, combined with an online experience that is oversaturated with calls to action , you are seeing a reversion back to the storybook advertising of "Mad Men" days. We are seeing success in this space being defined by the ones that can stand alone. The option to simply edit down your existing 30 second video may sound like an easy solution at first but be warned. Like film making, the creative death sentence for any film maker is when he or she is forced to trim down their final edits. It hurts the pace, requires rewrites, and eventually become water-downed snapshots of the original. Instead, take the goal from your 30 second video and start from scratch. Put your focus into the basic elements that you know will resonate with the viewer and connect them to that goal. You don't need more than one image, one word, or one sound to reach the attention of someone. The challenge is deciding what you what them to do when you have their attention. Look at your 6 second video as movie trailer. Really good movie trailers, or "teasers", are made to give audiences enough information to formulate questions. 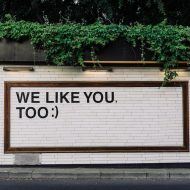 This type of approach is what is not only going to help you connect with your viewer, but also convert them. Remember, your viewers are not there to see you. Your 6 seconds of stage time should only be used to build curiosity and create questions. That will be your new calls to action and shape how they engage with you or how they remember you. 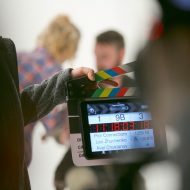 A successful 6 second ad is one that is positioned for easy recall by the viewer at a later time. If done perfectly, creating this level of curiosity will incentivize the viewer to seek you out, or in some cases abandon their media all together for a more interesting subject, you. Creativity in advertising has become quiet stagnant over the past few years as they struggle to penetrate through the white noise and reach an end user that is blanketed with advertising on a regular basis. This non stop growth in supply has saturated the market, exhausting both the advertisers and consumers. Will the rise of the 6 second ad be the thing that finally pushes both sides to embrace each other. Inaddition to discounts and the occasional update on new music, every month get a free music track to use on your next project . Fully licensed and yours to keep.